Nixon played dirty from an early stage, shamelessly exploiting the post-war ‘Red Scare’ to demolish his Democrat opponent, the actress Helen Gahagan Douglas in his 1950 campaign for the US Senate. Although she was basically a New Deal Democrat, Nixon using provocative and sexist language labelled her “the Pink Lady…pink right down to her underwear” and had thousands of pink leaflets distributed saying the same thing. Douglas lost and gave up politics (her granddaughter is the actress, Illeana Douglas). 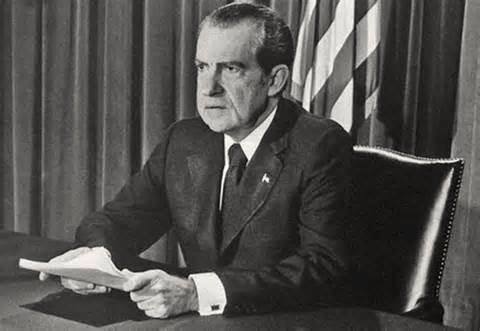 Nixon won by a landslide and became a senator but at a price: he would be known as “Tricky Dicky” forever.